Molecularly imprinted polymers (MIPs) are tailor-made synthetic materials possessing specific cavities designed for a target molecule. Since they recognise their target analyte with affinities and selectivities comparable to those of antibody–antigen, enzyme–substrate and ligand–receptor interactions, they are often referred to as synthetic receptors or plastic antibodies. In this review, we describe the great potential and recent developments of MIPs in affinity separations, with emphasis on their application to the solid-phase extraction (SPE) of analytes from complex matrices. Research efforts made in this field to obtain water-compatible polymers for their applicability in aqueous environments are described. We particularly discuss problems encountered in the use of MIPs in SPE and the attempts carried out to improve their efficiency. 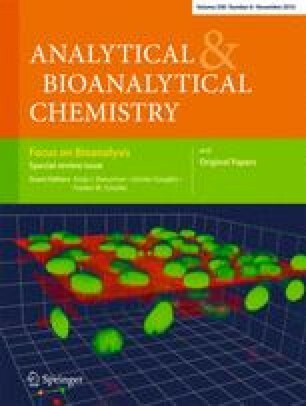 Published in the special issue Focus on Bioanalysis with Guest Editors Antje J. Baeumner, Günter Gauglitz and Frieder W. Scheller.